The library will be closed in observance Thanksgiving on Thursday, November 22, 2018. 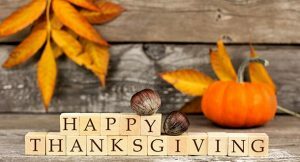 The Ossipee Public Library will be closed in on 11/22/18 in observance of Thanksgiving. We will be open on Friday from 10-5 and Saturday 9-1.